Perv says your husband did this in my office. AJ said to Perv I asked you stay away from Guddan and her sister. He hit her. Guddan says so you wanna take revenge now? He says I can’t do anything. How can I even imagine giving him pain. Guddan leaves. AJ hit Perv and said don’t ever go near Revati. Perv calls his men and says send things to jail. Hit AJ so much that he cant get up. The thugs enter the jail. Gudan is on her way. She says I have to stop it. The thugs have knives rods and hockeys. Dadi wakes up and says something bad is going to happen. Durga says please don’t worry. Dadi prays for AJ. Guddan collides with a car and falls down. The man is angry. The girl comes out of the car. SHe says what did you., The girl realizes it was Guddan. Guddan says thank you. She sits in the car. But police constable asks them to come out. He gives them both ticket. Guddan comes to the jail. 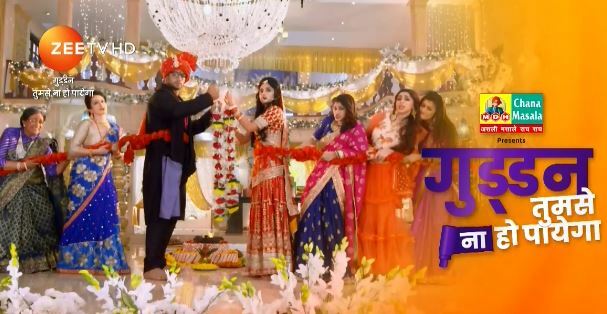 The post Guddan Tumse Na Ho Payega 27th February 2019 Written Episode Update appeared first on Telly Updates.